Raven, KO, Garnet, and Ben, ready to rumble. OK K.O.! Let’s Be Heroes is about to get even more, uh, heroic, because some of Cartoon Network’s best and brightest are going to be joining the characters in a special television event. Dubbed the “Crossover Nexus,” the televised collision will feature characters from Cartoon Network’s entire stable of TV shows. 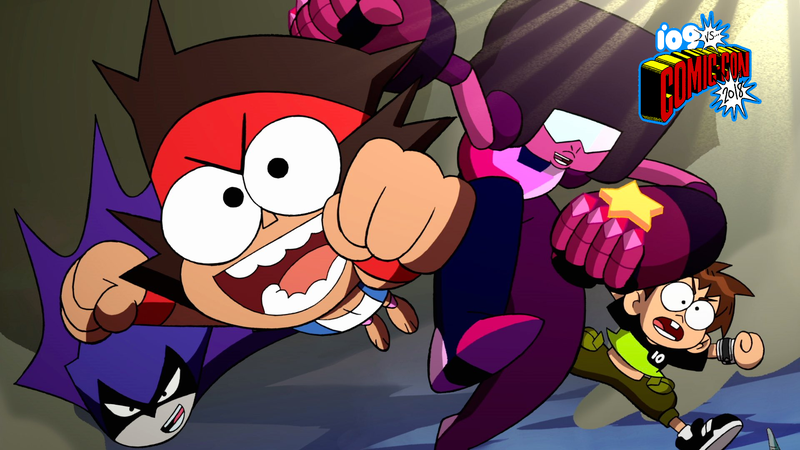 In the released image, KO is joined by Raven from Teen Titans Go!, Ben from Ben10, and Garnet from Steven Universe. Information on the special, which may or may not feature other characters from CN properties, is a bit scant, but at least we know it’s airing sometime this fall. If you’ve ever wanted to see Raven and Garnet fight baddies together (and who hasn’t? ), might want to keep your eyes open.